Keyboard shortcuts are a combination of two or more keys that allow a user to complete a process quickly using the keyboard instead of the mouse. 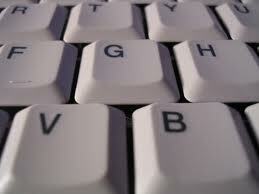 The idea behind keyboard shortcuts is to improve efficiency, saving both time and effort. In the past some shortcuts were complex, such as “CTRL + Shift + F12”, the print command in Microsoft Word in the past, today the commands are generally easier to perform and remember, “CTRL + P” to print in Microsoft Word now. Regardless of the keystroke command, the shortcuts, once learned, will make your life more productive.